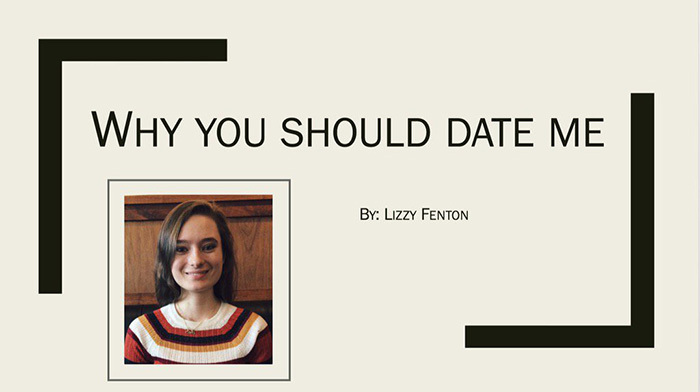 Lizzy Fenton, a student at the University of Minnesota, made a Powerpoint with six slides to convince her crush why he should date her. Starting with poor self image and a lack of self confidence..
And yes, she is both a creep and a stalker. Well...we should maybe lighten up a bit. First, we need to relax this allegation of 'stalker'. It's been my observation that if a girl is attracted to a guy, she tends to appear where the object of the attraction shows up. Girls try not to be obvious, just available. They hang out where he hangs out. Is that stalking...or just normal behavior. And 'creep' is just a term of disaffection. It's dislike...but a little bit more, some sort of 'extreme' dislike...a measure of degree, less than kind. And it probably depends on how you are feeling today. 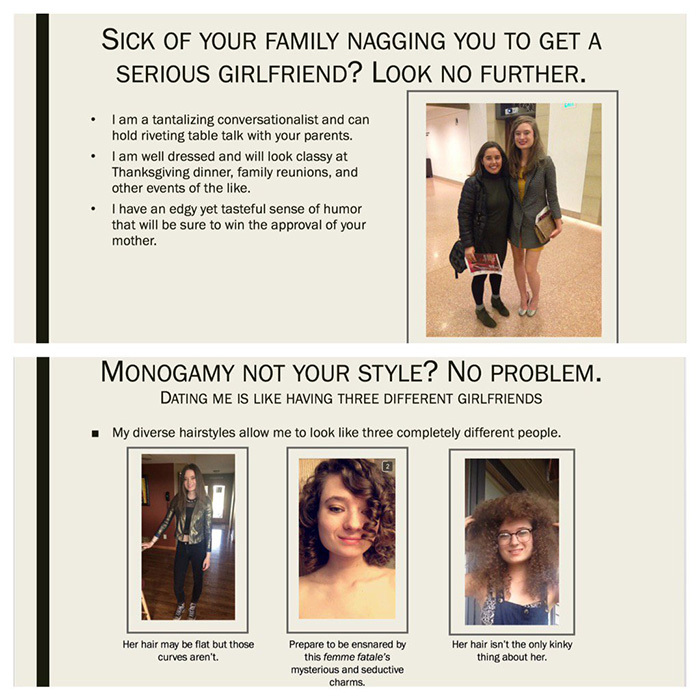 Frankly, I'm impressed by this girls ingenuity and sense of humor. It's not the joke I objected to, or even the manner in which she wanted attention, it's the fact that the guy isn't interested. Take the hint and give it up already. eddie wrote: It's not the joke I objected to, or even the manner in which she wanted attention, it's the fact that the guy isn't interested. Take the hint and give it up already. Yeah...you'd like to see one be a little quicker on the uptake. But I remember a girl who had a crush on me in college. I had to alter the path I took to classes to avoid her. I altered the times I went for lunch. 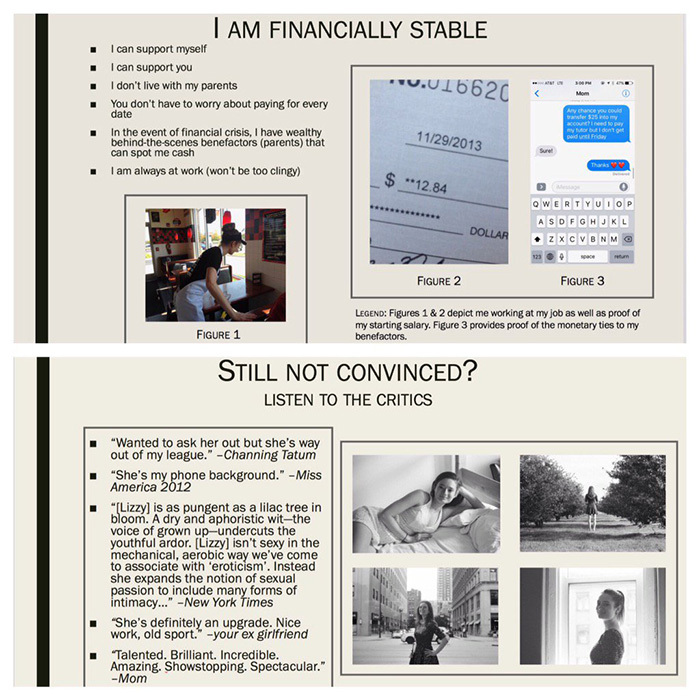 I worked at the campus computer center, and she would show up asking for help...and I knew she knew it. Looking back, she wasn't creepy...it was just a time in her life.